Each year several northwest Iowa counties cooperate to celebrate the return of spring in Northwest Iowa. 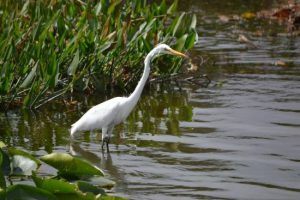 Over the years swan releases, bird hikes, canoe events, wildflower walks and more have engaged hundreds of Iowans in experiencing the wonders of birds and their habitats. In O’Brien County, our events will be held on Saturday, May 11. We would love to have you participate for a single event or for the full day! Begin your Saturday at 7:30 a.m. with a light breakfast at the Prairie Heritage Center. Then hit the trail in search of migrating songbirds. Warblers are on the move, and bird expert, Lee Schoenewe, is exceptional at helping people identify birds. On a short walk to the river, over 30 different species can usually be counted. The group will then carpool to Wanata Park in Peterson to add some woodland birds to their list. At 11:00, come to the Prairie Heritage Center to take part in the May activity in the 2019 Nature’s Art series. 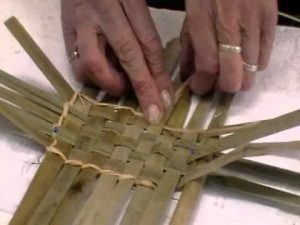 “Cattail Weave” will encourage participants to think about birds and other animals that make use of wetlands. Weave a cattail mat to take home. 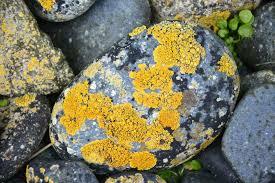 Lichens are the topic of the 2:00 p.m. program. These organisms are part fungi and part algae. “I’m Lichen It” will take a closer look at these colorful growths found on rocks, trees, fence posts, buildings and even in the soil. Once you start to notice lichens you will see them everywhere. This program will take place at the Prairie Heritage Center. End the day with a “Cloud Collector’s Picnic!” Dog Creek Park is a lovely place to kick back and survey the sky. Bring a little snack or an early evening meal to enjoy while we look at cloud formations. Meet at the beach parking lot at 4:30 p.m. Feel free to bring a lawn chair or blanket in order to get the best view of the sky overhead. See the websites or Facebook posts of the other counties – Clay, Dickinson and Palo Alto – to take part in a variety of activities at their locations as well!